Preeti Sharma was raised in South Florida to Indian immigrants. She is a doctoral student in Women’s Studies and holds an M.A. 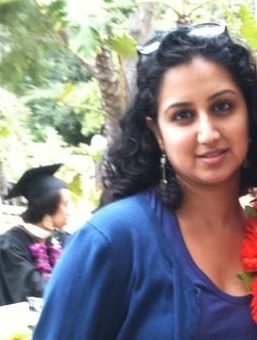 degree in Asian American Studies from UCLA and a B.A. degree in Women’s Studies from UF. Her dissertation focuses on emotional labor in South Asian threading salons in Los Angeles in the context of growing service economies within a neoliberal economy. Her research interests span gendered and emotional labor, community-based organizations, immigration enforcement policies, women of color feminisms, and South Asian diasporas.